Each week leading up to it, White Label Music are giving away a pair of free tickets to the E.A.R Festival (February 18 & 19). The weekly question will be posted on WLM’s Twitter. The answer to each question can be found somewhere on the White Label Music website. This week’s question: Autorotation’s new EP due out on the 21st of Feb 2011 is called? Hunt around, and when you think you’ve got it, submit your answer. An entry will be drawn each Thursday and the winner notified by email. Skywatchers will be headlining the Friday lineup at the E.A.R Festival in Croydon on February 18th, 2011. 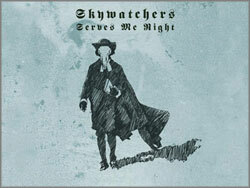 Just a reminder that Skywatchers have two gigs this weekend as part of The Eccentronic Revue. 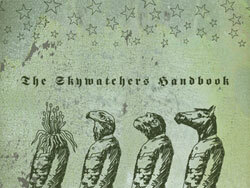 Four bands play each night with Skywatchers and The Chanteuse & The Crippled Claw double-headlining. The first is at the Queens Social Club in Sheffield on Saturday January 22nd. The Chanteuse & The Crippled Claw (featuring Candie Payne & Kings Have Long Arms) headline this night in their debut live performance. The second show is at The Deaf Institute in Manchester on Sunday January 23rd. Skywatchers headline this night. If you come to either show and get any nice pics, send them in and we’ll put them up! Come see us LIVE at the Colchester Arts Center in Colchester, UK, on Friday Sept 10, 2010 from 7- 11pm. Buy Tickets.